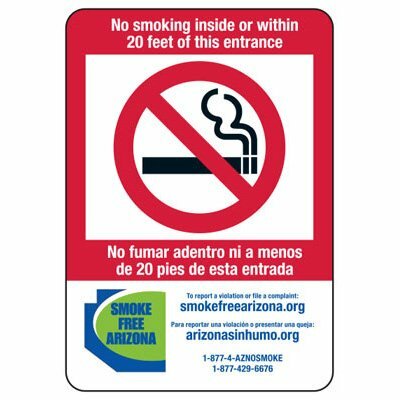 Seton's Bilingual No Smoking Signs are backed by our 100% Satisfaction Guarantee! 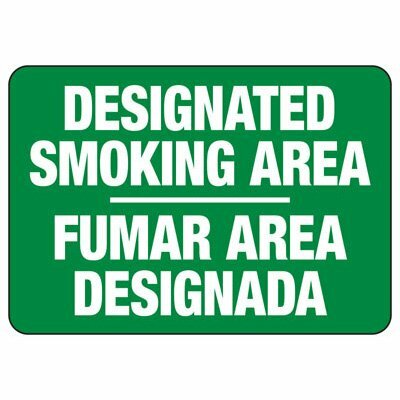 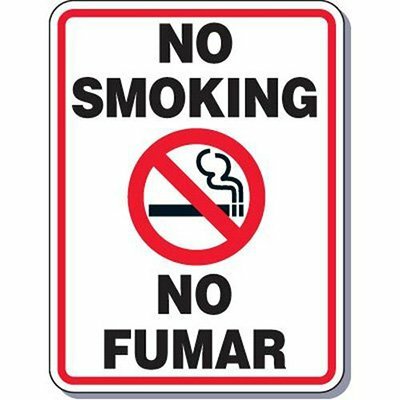 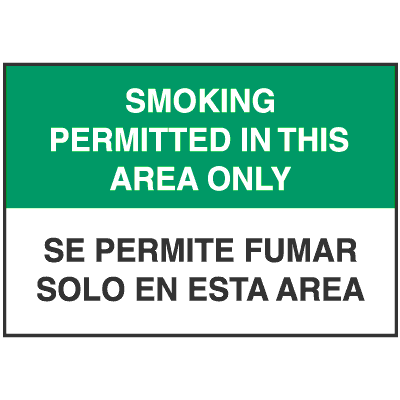 Select from a wide variety of Bilingual No Smoking Signs at competitive prices. 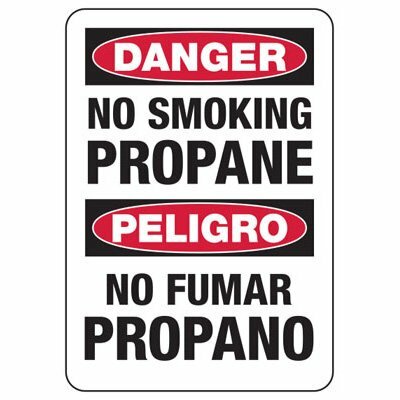 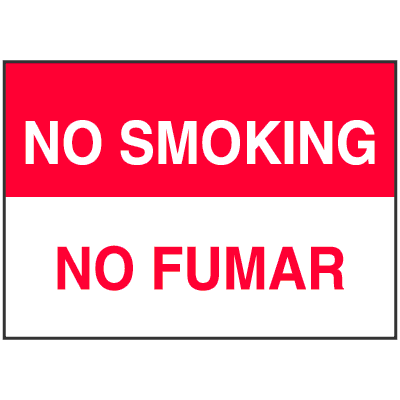 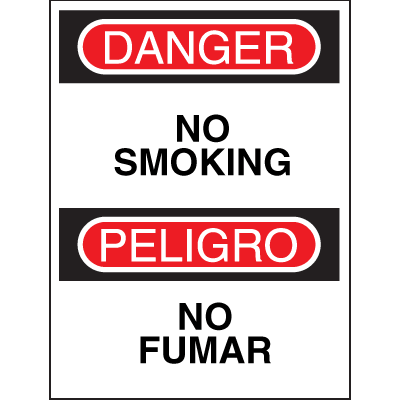 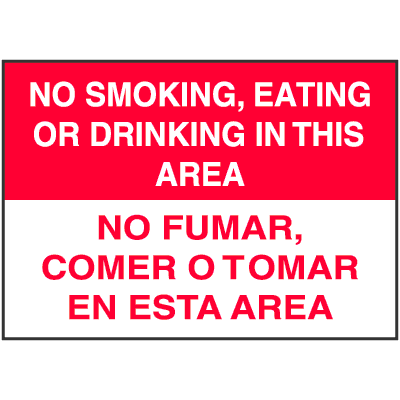 Plus most of our top-quality Bilingual No Smoking Signs are in stock and ready to ship today. 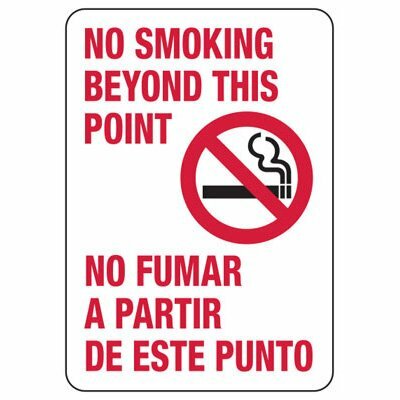 No smoking On School Premises Bilingual signs notify people of non-smoking areas in Spanish. 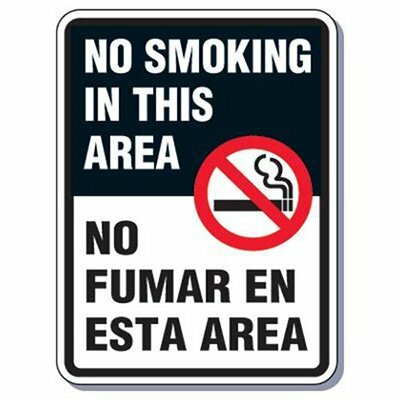 Kansas no smoking signs comply with the state's indoor clean air act and clearly designate non-smoking areas for your spanish-speaking visitors and employees.